Gateways Books & Tapes, 9780895561633, 256pp. Documenting the troubling manifestations of civilization's current crisis—violence, misogyny, racism, economic injustice, religious intolerance, and corporate greed—this breakthrough analysis posits the theory that the root cause can be found in patriarchy. Revealing the pervasiveness of the patriarchal mind over the centuries, examples are provided to illustrate how it touches every level of life, including construction of economies and reliance on the media and extending to the treatment of children and one’s own self. Describing the dangers of a society operating on dominator politics, this fascinating study explores the longterm damage done to the other aspects of inner being—mother and child. Brilliantly weaving together history, anthropology, religion, economics, education, psychological development, personal growth, and political oppression, the sobering global situation is illuminated. 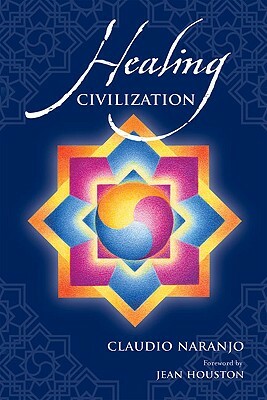 Offering a hopeful plan for change, this meaningful guide proposes an integrated balance between the three inner aspects and provides a transformative plan that begins with the re-education of the coming generation of children and strives to build a world that is meaningful and harmonious. Claudio Naranjo is a psychiatrist and the author of 13 books in English, including "Character and Neurosis," "The Divine Child and The Hero," "The Enneagram of Society," "The Healing Journey," "The One Quest," and "The Way of Silence and the Talking Cure." He is known for bringing personality enneagrams to theUnited Statesand for developing the psychology of enneatypes. He lives in Berkeley, California. Jean Houston is a scholar, philosopher, teacher, lecturer, and the author of 26 books, including "Life Force, Manual of the Peacemaker, A Mythic Life: Learning to Live Our Greater Story, A Passion for the Possible, Public Like a Frog, "and "Search for the Beloved. "She is the cofounder of the Foundation for Mind Research, the founder and chief teacher at the Mystery School, and the founder of the International Institute for Social Artistry. She lives in Ashland, Oregon."